Wind instrument, to imitate the sounds of ducks, found in southern Brazil. 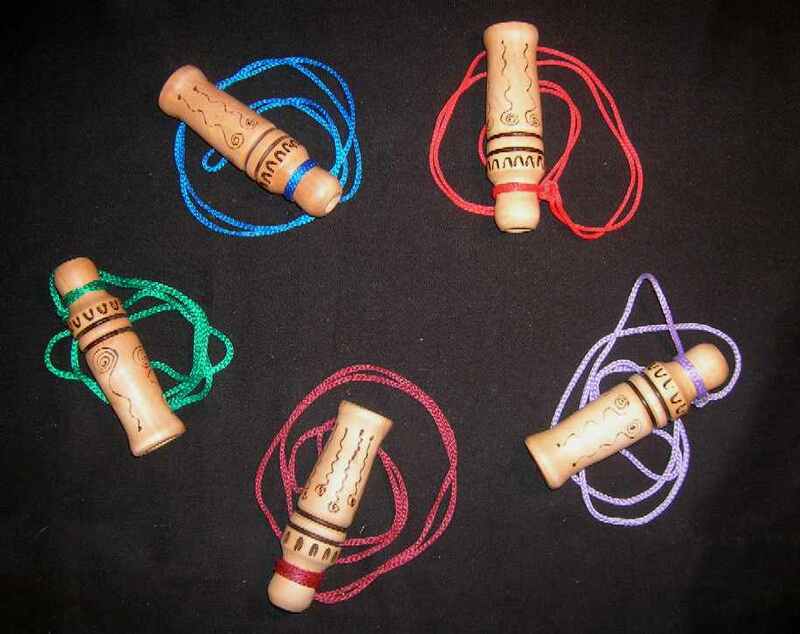 Made of lenga wood, its size is 10 cm long. Simple to run. 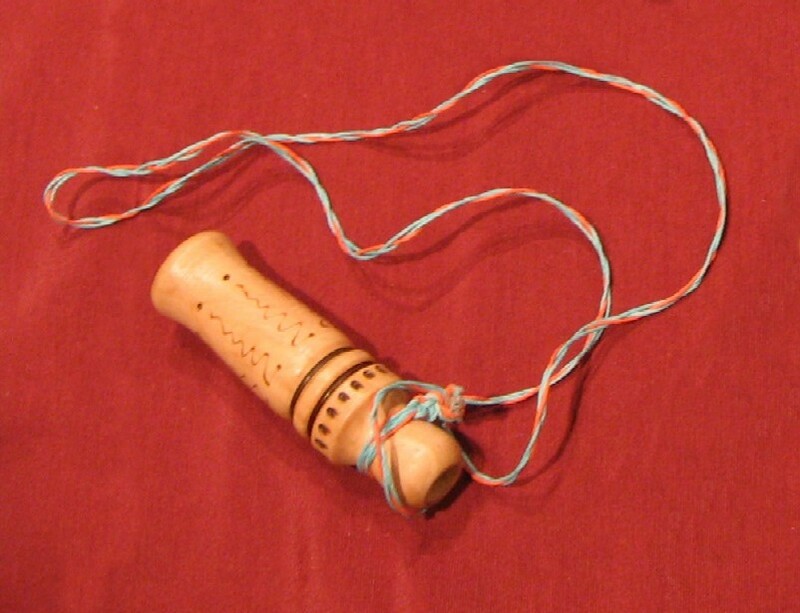 More than 120 variants of wooden whistles of various types, sizes and shapes can be found in the southern part of Brazil, some whistles that mimic certain birds and the internal tongue that imitate geese, ducks, etc., as is this model. 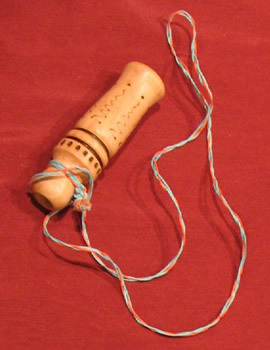 This wind instrument can be found in Brazil in the state of Paraná, Santa Catarina or Rio Grande do Sul, there they perform blowing by the part of greater diameter and taking it with both hands forming an acoustic box in the part of where it is Tied a leash, so when blowing and moving hands vary the sounds produced. Some blows may be; Direct as a Tuuuuuu, or also Trrrrrrr ....., Taka-Taka-Taka, etc. Another way to run it is by vacuuming the smaller end producing another very interesting sound variety. 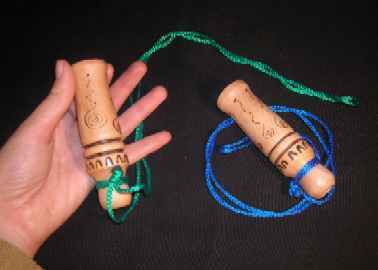 The whistle Duck has a strap to be able to hang around the neck. 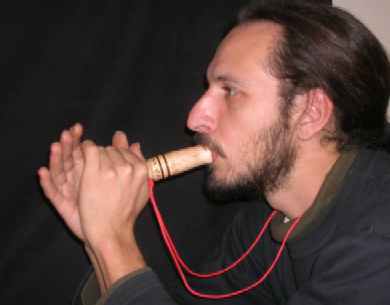 The instrument can be blown gently or intensively achieving a wide variety of sounds.